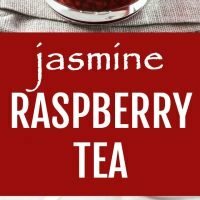 This jasmine raspberry tea takes just a few minutes to prepare and is so delicious and flavorful that you will want to keep making it again and again. 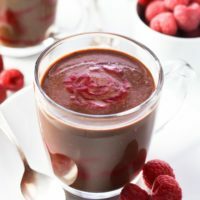 Just imagine the floral flavor of jasmine tea blended with the wonderful flavor of raspberries! This winter has been very cold here in Ontario. And it looks like it’s not going to get warmer any time soon. It’s not that I don’t like winter. I just don’t like when it’s so cold for so long and with so much snow. 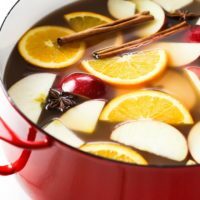 On the bright side, winter is the perfect time of year to experiment with warming soups, stews, and drinks which takes me to today’s recipe. To make the tea, first, steep a bag of jasmine tea in hot water. 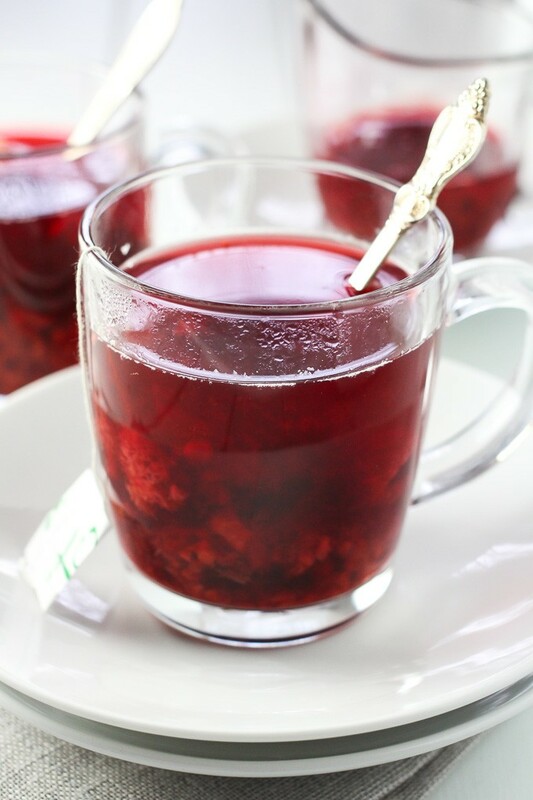 Warm up some raspberries on the stove top and add the mixture to the jasmine tea. That’s it! How easy is that? 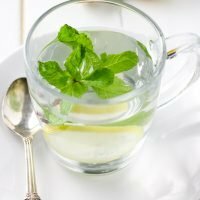 This jasmine raspberry tea is also very healthy if you don’t overdo it with the sweetener. 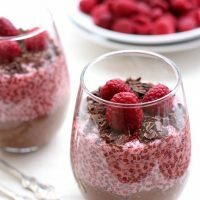 Raspberries are said to be good for the liver, muscles, blood, and kidneys, and also protect against viruses which is a bonus this time of year. 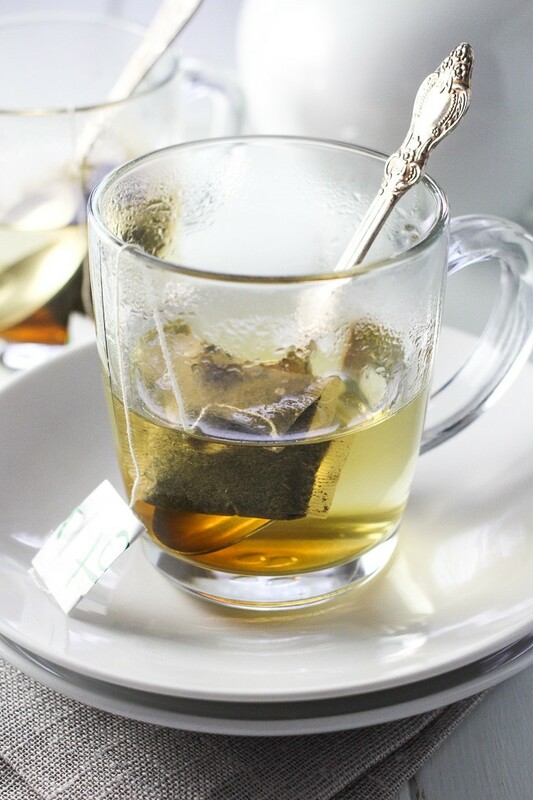 Jasmine green tea is just as good for you as any green tea with the added benefit of the wonderful aroma. 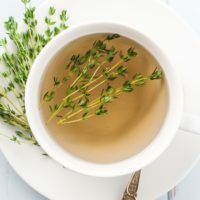 Interesting fact: one study found that jasmine tea aroma has a calming effect and is widely used as a natural stress reliever and antidepressant. 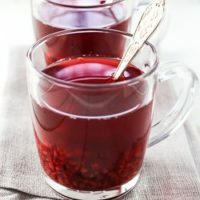 So, if you come home from work and need to relax and get rid of anxiety, make a cup of this tea, put on warm socks, cozy up on the couch and enjoy! 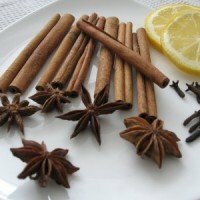 And if you like tea, check out this Rooibos Chai Tea, this Ginger Tea with Mint, or learn How to Make Thyme Tea. The floral flavor of jasmine tea blends perfectly with raspberries. 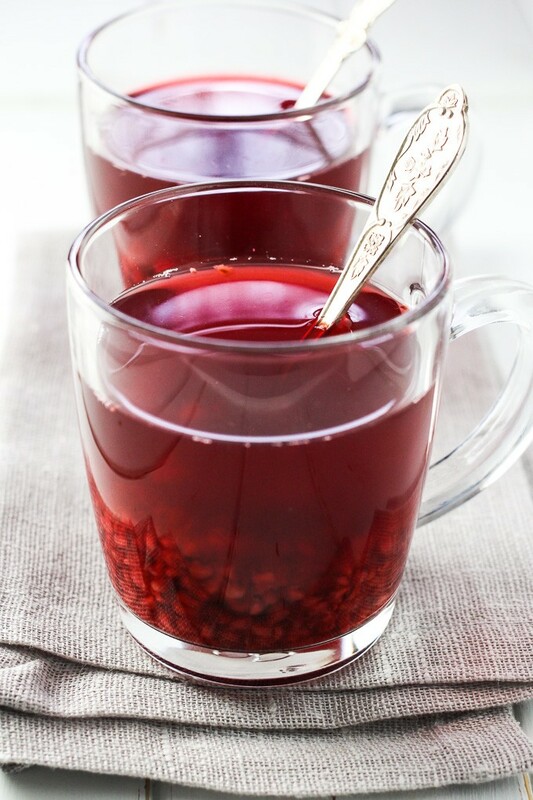 Cozy up on the couch with a cup of this wonderful tea. Place the tea bags into teacups and fill the teacups about half full with boiling water. Let the tea steep. In the meantime, place the raspberries into a small pot and add about 1 1/2 cup of water (cold or hot). Bring the water with raspberries to a simmer (but don’t boil). Pour into the teacups to fill them up. Sweeten with a little bit of maple syrup or another natural sweetener.